I am delighted that the Evening News has provided space for people to express their support for Edinburgh’s excellent library service. I want to assure both Helen Martin (Opinion, 15/12/17) and James Park (Letters, 16/12/17), however, that the “Open Library” trial is not a Trojan Horse which will enable a reduction in staffed library hours. Edinburgh’s Labour Councillors are absolutely clear that there’s no link between allowing the public to access unstaffed libraries outside the current opening hours and the funding made available to operate the current service. Of course, the Open Library proposal does come with some uncertainty, not least ensuring public safety and the security of valuable public assets. Indeed, UNISON has noted that in Peterborough “A decision was made to recruit four assistants to maintain a presence in four library sites where it was felt that extra safeguarding measures were needed during unstaffed hours”. These uncertainties are why we could only agree to a trial“. Nonetheless, there will be those in our Capital that see libraries as easy fodder to fill the black hole left in the city finances by the SNP budget. The first step in repelling these attacks is to debunk the myth that libraries are simply rooms full of books for the public to borrow. They provide much more than that. The two libraries in my Ward are cherished community assets. Oxgangs Library and Colinton Library offer the community a range of services ranging from Rent Advice Surgeries, to Computer Clubs and Surgeries held by a certain Labour Councillor(!). Anyone who thinks these are moribund spaces should come along to feel the energy in Colinton Library’s “Lego Club” or Oxgangs Library’s “Tiger Tales”. Absolutely none of this can be replicated using the Open Library model and anyone who dares to suggest otherwise is devaluing the hard work of our fantastic librarians. So yes, let’s explore expanding the current library service using the Open Library model but please don’t let anyone suggest it can be a substitute for the real thing. Finances may be tight in Edinburgh, but cutting libraries during tough times is like cutting hospitals during a plague*. @neilhimself Thnx for the lib. note. Cuts to libraries during a recession are like cuts to hospitals during a plague. Just plain silly! 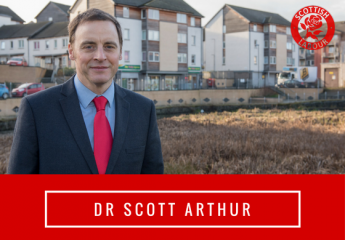 ← Homelessness in Edinburgh – the Tories must share the blame!